Ahh, how I love having this blog as my little outlet. I feel like I've been answering lots of questions about blogging on Tumblr, and especially with it being summer, it becomes more fun to focus on it a lot. But it feels like so much of my inspiration and work ethic comes late at night. I wake up around 9 each morning and am kind of tired, but I mostly mope around until I have to get dressed and eat lunch. I love being up and having that time, but all of my ideas and to-do lists and thoughts and motivation comes much later, usually while I'm out and then I come home and have all of this energy and I feel like I spend a lot of the nights at home working on blog stuff, which I absolutely love, but I wish I woke up just as energetic! How on earth do some people wake up motivated?! I guess this really is what people mean when they say they're 'night people' or 'morning people'... but jeez, here I am at 11:30 writing a blog post for the next day. If anyone has any thoughts or advice on this, please let me know!! I'm happy to have a little bit of inspiration back, though. I think it comes with being home and not having any pressing stressors, but I find myself getting really energetic at random points- when I'm at the pool, babysitting, and especially driving (which I'm actually thankful for now because driving used to bring about anxiety in me). 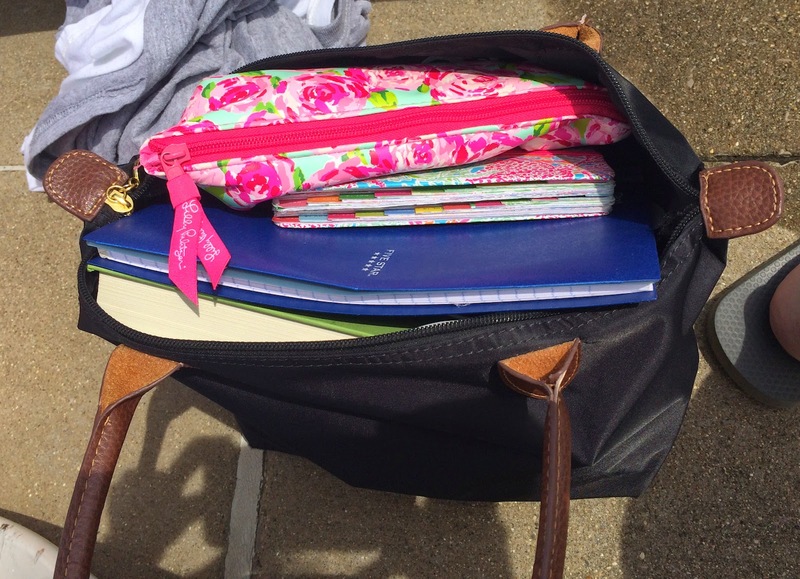 I find myself carrying three books around with me everywhere- my notebook with all of my lists, my planner, and the book I'm reading. Even at the pool I'm making lists. 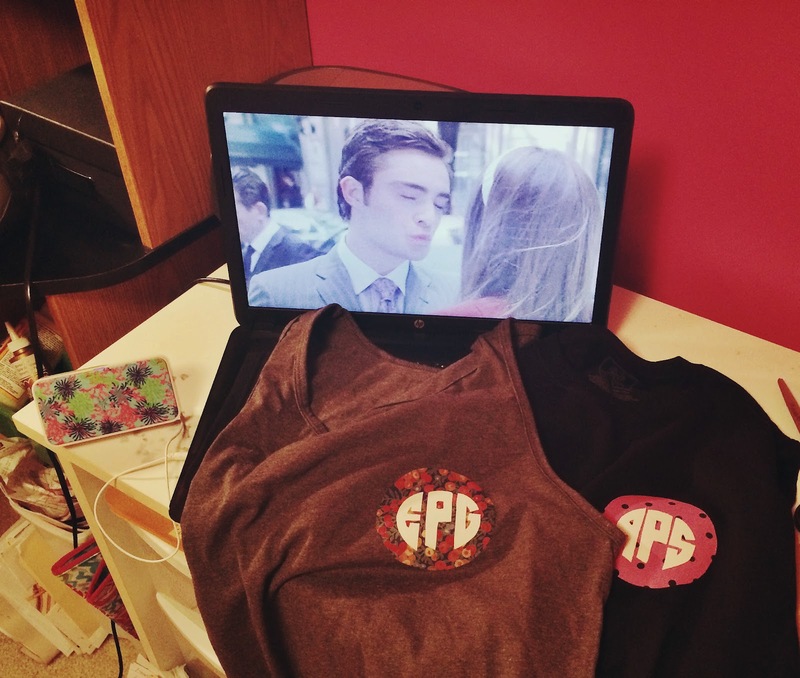 It doesn't hurt when working includes some Gossip Girl, though. 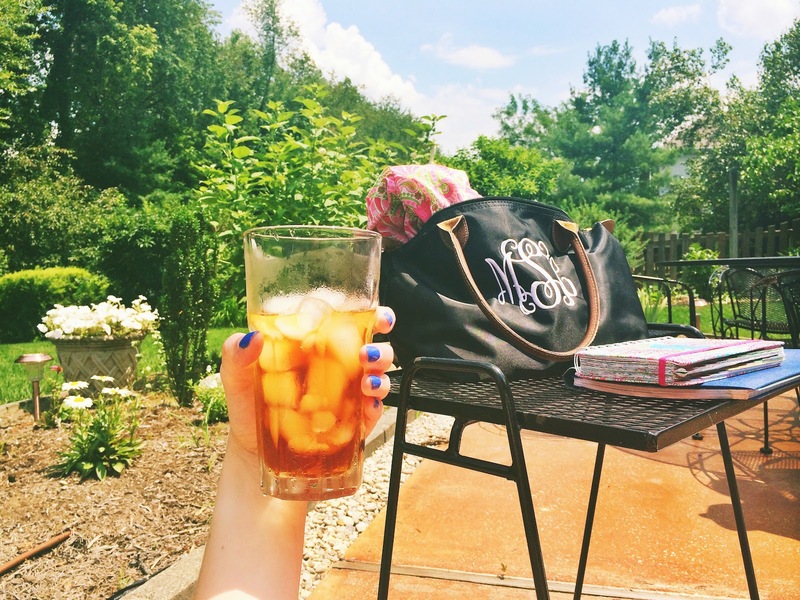 And ahh, how sweet it is to enjoy sweet tea outside at my grandmother's house in the sun. ANYWAY, here are some recent shirt orders I'm excited to share! 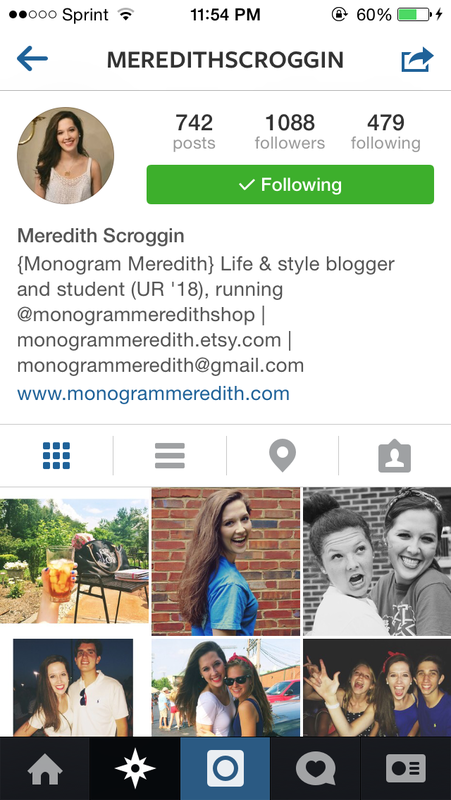 I have a few exciting announcements to share later, but there is one for now: Monogram Meredith, the shop, has an Instagram account! Now, I will still post all of my blog and personal photos on my main account, but it's nice to be able to post photos of just things I'm selling on a different account, so go ahead and follow both! ...Talk about branding yourself... bios are so weird, okay?! 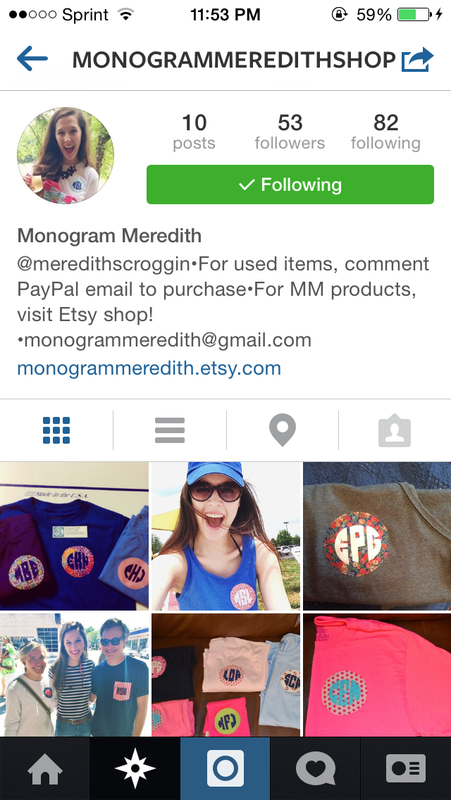 Be sure to order your own shirt at monogrammeredith.etsy.com! It was a random cheap bag that I got at a local boutique and then had monogrammed! I love it because I can throw everything into it and it's waterproof and such!! I just recently found your blog, and I like it so much!!!!!! P.S. Your shirts are so cute!